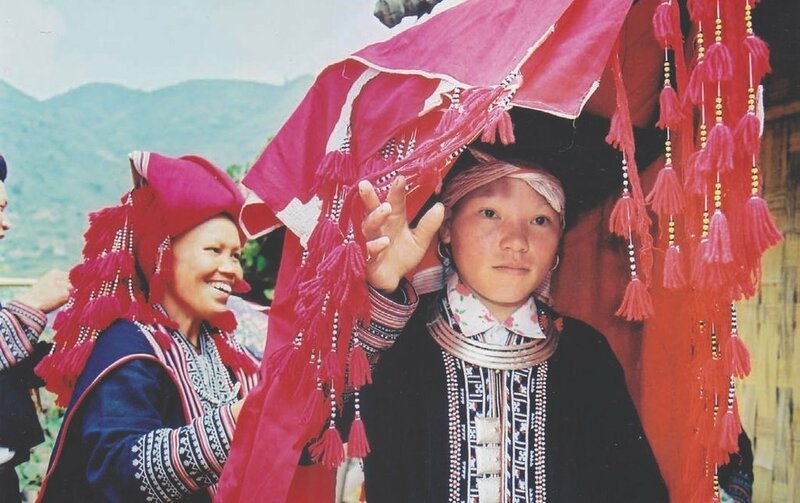 The Red Dao hill tribe population of Sapa is one subdivision of Dao people living in the highlands of North Vietnam. It has been an honor to spend time over the weekend with two Red Dao families as they connected with each other through a traditional Red Dao wedding. The wedding which lasted three days, was filled with a mixture of emotions: sadness, celebration, joy, and new beginnings. 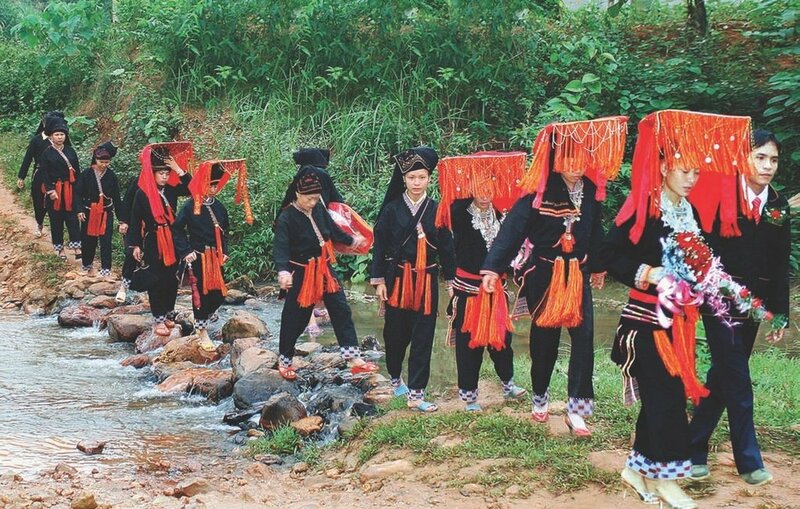 It has been an honour to spend time over the weekend with two Red Dao families as they connected with each other through a traditional Red Dao wedding. The wedding which lasted three days, was filled with a mixture of emotions: sadness, celebration, joy, and new beginnings. The wedding itself lasts for three days. 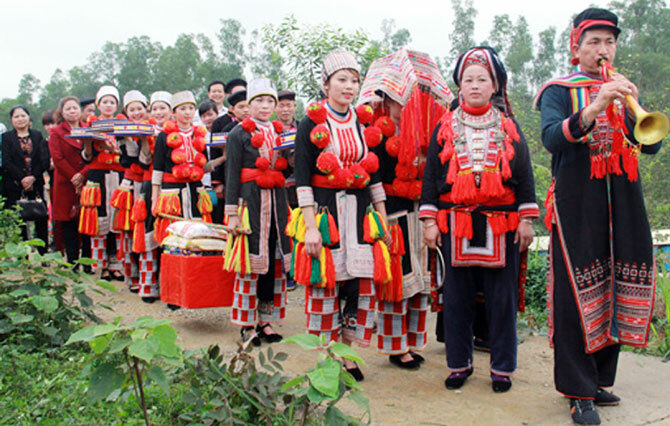 The first day sees two parties going on simultaneously in the bride’s and groom’s villages. Many people are invited. Manly the families’ friends and relatives visit, sending their best wishes to the bride and groom and their families. Pigs and chickens are slaughtered for the occasion and the party lasts long into the early morning. The second day is the big day. Early morning at the groom’s home preparations are taking place for two-day’s worth of celebrations. At the bride’s home and village, the morning is filled with sadness as everyone prepares to leave. Music is played as a procession makes its way away from the village. When the bride’s party arrives at the grooms home, there is a musical welcome with drums and horns. The bride and family prepare in the finest of clothes adorned with silver bells. A massive head dress is prepared and is dressed and draped with red wedding scarves. When she finally takes it off, it will be the first time the two young adults will see each for the first time. As the bride makes her way to the house, prayers from a local priest are heard from inside mixed with the sound of the traditional Doa brass horns. The process of the actually wedding is long. Many meals, prayers, songs, and traditional customs will take place until the dawn of the next day. Even through the night celebrations continue with large meals for up to 80+ people, rice wine, and singing. All throughout the process however, the bride is solemn. Her sadness is infectious and is felt by many at the wedding party. Tears are shared and best wishes of strength are given to the bride. The final day is a day of goodbyes, and final arrangements between the parents of the bride and groom. After more eating, traditional songs, and praying by the local priests, it is time to leave. Gifts are given to the guests in the form of large slices or pork, tobacco, chicken, and rice wine. As everyone leaves the homes, thoughts are directed toward the young newly weds. Their life, which has been brought together through culture and tradition has now begun.